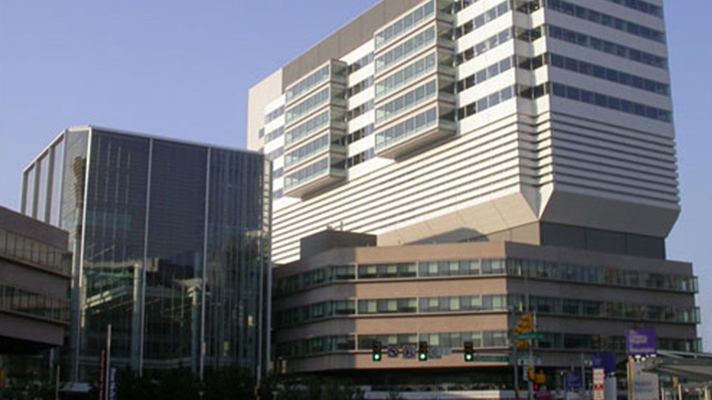 Penn Medicine and Cancer Treatment Centers of America are deploying clinical pathways technologies and Mercy already saved 480 lives and $27 million by connecting them with its Epic electronic health record. When hospitals and health systems can reduce variation in care, it can save lives and reduce costs. The concept is getting a lot of attention from larger health systems today because unnecessary variation is bad for patients and causes wasted expense, but can be addressed with electronic health records systems and, most important, clinical pathways. By embedding Epic’s clinical pathways tool into its EHR, for instance, health system Mercy saved $27 million and 480 lives. Pathways help the hospitals provide consistent, standardized care by outlining treatment for patients with common medical conditions and procedures. Pathways are divided into steps, based on timeframe or patient condition, which organize orders and clinical documentation. Here’s a look at what’s fueling Mercy’s success and what Penn Medicine and Cancer Treatment Centers of America are also doing with clinical pathway tools. Cancer Treatment Centers of America and Penn Medicine are also deploying pathways technologies. Penn Medicine is using its Big Data analytics program to help identify the best ways to predict illnesses, treat patients and, in turn, to continually enhance its clinical pathways. Penn brought together thousands of variables together, including vital signs, lab results and medications. It fed these variables into a real-time matrix upon which it could apply algorithms in order to make predictions and better its clinical pathways. A clinical and data science team built a dashboard that reports on how care teams are working with clinical pathways, how to reduce readmission rates, how to improve quality of life for patients, and more. Cancer Treatment Centers of America, for its part, uses a custom technical solution that enables eviti, a NantHealth clinical decision support system, access to clinical workflows in the Allscripts Sunrise electronic health record. The Clinical Pathways program is designed to help inform the cancer treatment process, without interrupting the physician’s clinical workflow. The direct interface of the clinical operating system (NantOS) was built with the input of hundreds of oncologists across the nation and holds a comprehensive collection of evolving cancer care data, the vendors said. The resulting Clinical Pathways integrates the latest cancer research available, treatment regimens and complementary therapies into the Allscripts Sunrise EHR, giving oncologists the ability to create a curated list of care protocols, the vendors explained. Mercy began piloting its heart failure clinical pathway in three facilities in 2013. Following this initial pilot, it expanded the pathway pilot program across Mercy’s four states with limited use. It was fully implemented in the beginning of July 2014. “Mercy built all of its clinical pathways within the EHR to take advantage of tools in a provider’s typical workflow, but with the added benefit of evidence guiding care delivery,” said Ursula Wright, executive director of clinical performance acceleration at Mercy, which uses the EHR and clinical pathways feature from Epic. As the care team is documenting in a patient’s chart, the information entered into the EHR, such as diagnosis, assessments and lab values, determines which evidence-based clinical pathway is recommended to the physician for that patient. It could be the heart failure pathway or one of 40 other pathways Mercy now has in use today. In this way, the pathway appears seamlessly integrated with the EHR. The initial recommendation might read: “This patient has been identified as a candidate for use of Pathway X. Please select Accept below to place the evidence-based orders for care of Condition A, including the pathway.” Once accepted, the physician is shown tools, such as the order set, that present orders designed with evidence-based standards and rules. These unique order sets have been built to display specific orders based on the patient’s clinical characteristics. The pathway itself is initiated based on the order and it contains outcomes, tasks, education and other elements that drive the patient’s care. The pathways were created, and are continuously optimized, by Mercy’s clinical experts. This could be Mercy physicians, nurses and any care team member who can contribute to the effectiveness of the pathway. The design is guided by regular review of evidence and data analysis drives decisions on the recommended treatment course. Approximately 700 patients a month are admitted with heart failure across Mercy’s 40-plus hospitals in four states. Before the pathways work began, Mercy’s inpatient mortality rate for heart failure was 5 percent, or approximately 35 patients a month. With the use of the heart failure pathway, the inpatient mortality rate dropped to 2 percent or approximately 15 patients. That equates to about 20 patients each month, roughly 240 lives a year or about 480 lives saved over the course of two years from July of 2014 through June of 2016.